Debbie Bartowick, a medical advisor for the Forever Friends Foundation, was called in the early morning hours on Friday, April 12, and took possession of a male, three to four-year-old cat whose ears had been cut off with what appeared to be scissors. “He’s a sweetheart, he didn’t deserve this,” Bartowick said. 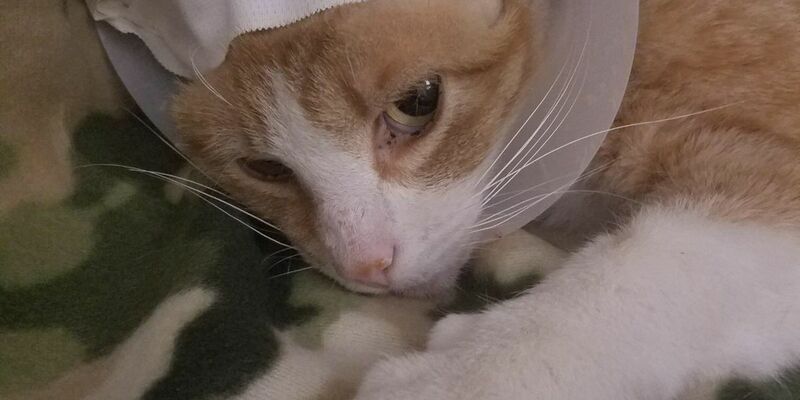 Bartowick, who works for Able Animal Hospital in Parma, took the cat into the hospital where one ear had to amputated. “We don’t have a suspect, we may not have any witnesses,” Sharon Harvey, president and CEO of Cleveland APL said. The Cleveland APL is actively looking for anyone who may have any information on this case. “Somebody knows something, somebody has to speak up,” Bartowick said. “The prognosis is really good, he’s just not going to look normal,” Bartowick said. Physically it will take three to four weeks for the cat to heal. Staff at the hospital have named the cat Sergeant. Anyone with any information please call the Humane Investigation Hotline at 216-377-1630.